https://www.intrepidtravel.de/china/tibet-uncovered 247993 Tibet Uncovered https://www.intrepidtravel.de/wp-content/uploads/2018/02/8809881993246.jpg https://www.intrepidtravel.de/wp-content/uploads/2018/02/8809879830558.gif 3045 EUR InStock 15 /asien//china//nepal//explorer//original/	Jede Etappe des tibetischen Roadtrips scheint unglaublicher als die vorherige. Atemberaubende Pässe, in Nebel gehüllten Berge und umwerfendes Panorama über dem „Dach der Welt“. Namaste! Welcome to Nepal. Your adventure begins with a welcome meeting at 2 pm. Those who have pre-booked an arrival transfer can meet their driver outside the airport terminal, a few metres from the exit door – look out for the Intrepid signboard. Please look for a note in the hotel lobby or ask reception for the location of this 2pm meeting. We’ll be collecting your insurance details, next of kin information, visa application fee and passport photo fee, and you will need to fill in the application forms for the group visa at this meeting. Please ensure you have all these details handy to provide to your leader. If you can’t arrange a flight that will arrive in time, we advise you to arrive a day early so you’re able to attend and finish the paperwork in time for the visa application. We’ll be happy to book additional accommodation for you (subject to availability). If you’re going to be late, please call our local emergency number and inform our local team immediately. This group meeting will be longer than your normal Intrepid meeting as there are a fair bit of paperwork to go through for the visa application inc. a 6-page form to fill. Then your tour leader will take you to take the photos needed for the visa application (5 USD per person) to make sure all the photos submitted are in line with the embassy requirement. Afterwards, your evening is free, but your trip leader will usually organise an (optional) evening meal at one of Kathmandu’s fine Nepali restaurants. Notes: Remember not to obtain a Chinese visa in advance, as you will use a group visa when entering Tibet from Nepal. Any other valid Chinese visa in your passport will be cancelled if you do obtain one. Please see the ‘Visa’ section of these trip notes for more information. Fly to Tibet’s capital, Lhasa (approximately 2 hours) (3,650 m). 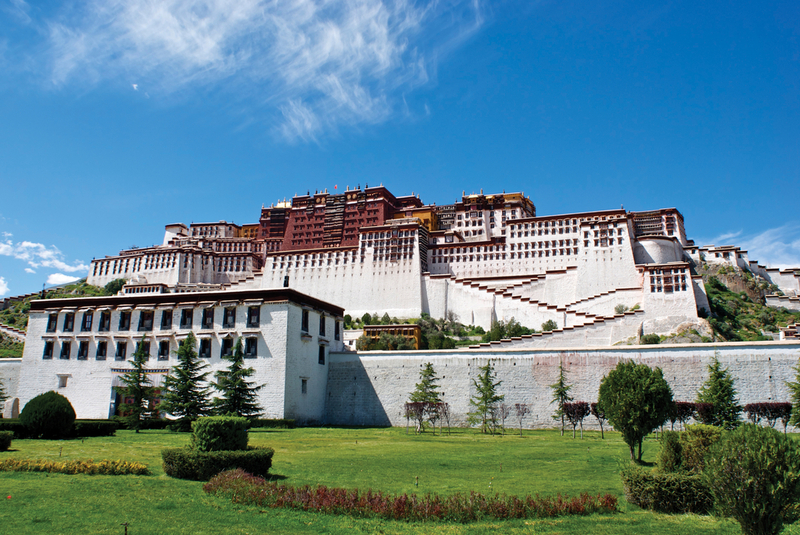 Colourful and historic, the holy city of Lhasa is situated in a small valley. Unknown to the outside world for years, even the most adventurous and hardy of explorers rarely reached the city without being turned away, either by the treacherous terrain or the fierce warrior monks that protected Tibetan territory from intruders. Nowadays it welcomes tourists, but remains an enchanting city, steeped in culture and mythology. In Lhasa you will stay at a basic but centrally located hotel with twin-share accommodation decorated in traditional Tibetan style. This morning, take it easy to adjust to the altitude. At noon, take a cooking class and learn the fine art of preparing momo, traditional Tibetan dumplings for lunch.Though the dish appears in neighbouring countries Nepal and Bhutan, it’s believed to originate in Tibet. In the afternoon, we’ll visit Sera Monastery where the fascinating Buddhism debate takes place between the Tibetan monks. We won’t understand a thing that they are debating about, but it’s purely joy to see how they heatedly discuss the philosophies in a very exaggerated and eye catching manner. 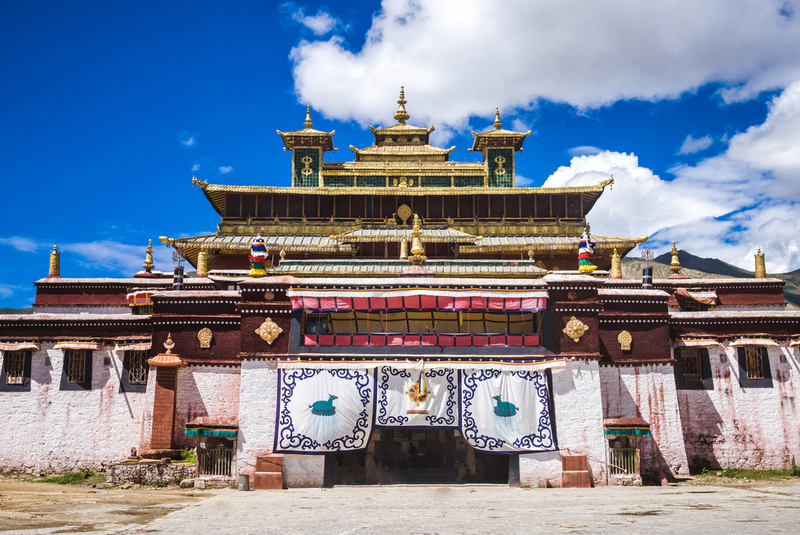 Take a private bus to the Drak Yerpa Monastery. Known variously as Brag Yer-pa, Yerpa, Dagyeba, Dayerpa or Trayerpa, this is one of the holiest cave retreats in Tibet, the ‘life tree’ of Lhasa. It’s located in the spectacular limestone cliffs of the Yerpa Valley, with views of prayer flag-covered mountains. Here you can explore some of the caves, including ones where pilgrims sip holy water or slip through a small gap in the rock, and perhaps talk with the few remaining monks that live there. Monks have begun to return to Yerpa, but numbers are strictly controlled by the government, which carries out regular patriotic study sessions. Continue to Gyantse (approximately 8 hours) (3,977m). The drive is long but rewarding, with spectacular views and plenty of photo opportunities, including at Karo La (5,039m). We will stop out at Yamdrok Lake (4,441m), it is one of the three largest sacred lakes in Tibet. 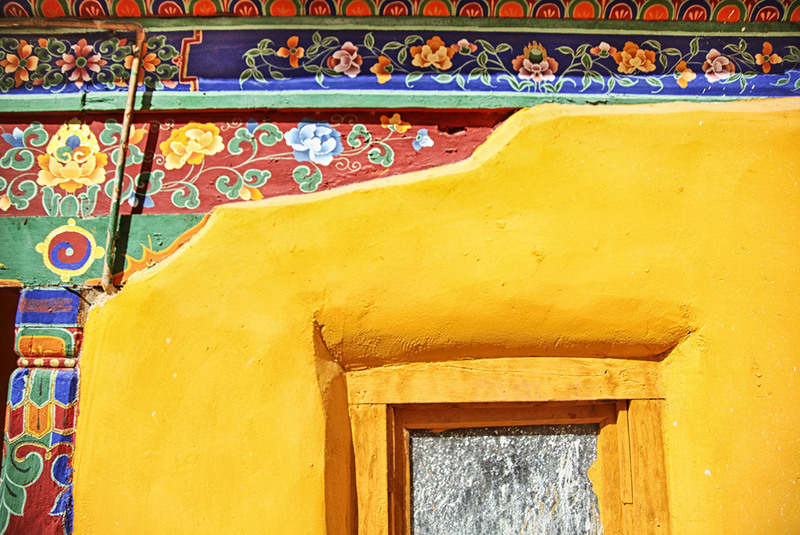 Gyantse is a small agricultural town that’s famous for its wool carpets. It has a very traditional feel to it, and indeed everyday Tibetan rural life continues here much as it has done for centuries. There are a number of interesting buildings around town, including the Pelkhor Chode Temple complex, a unique structure built in 1414 comprising five stories, each one representing a different stage on the path to enlightenment. 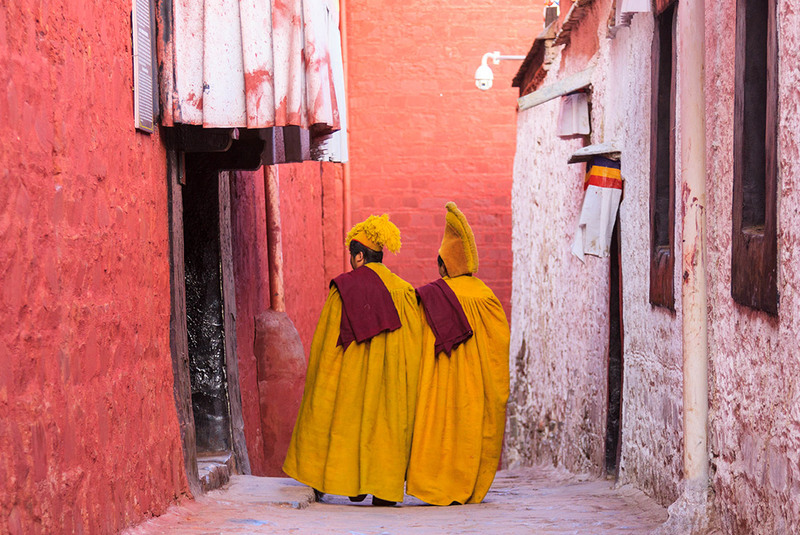 The backstreets of Gyantse are a great place to see contemporary Tibetan life, with pilgrims, pop music, cows, ‘cowboys’ on motorbikes, kids and monks mingling in a lively mixture of cultures. Today start your day with a visit to the Pelkor Chode Monastery and its Kumbum Tower, aka ‘Ten Thousand Buddha Pagodas’ with an architecture style featuring Han, Tibetan and Nepali. Shigatse is home to the massive Tashilhunpo Monastery, traditionally the seat the Panchen Lama. Your leader will take you on a tour through the myriads of the monastery – each building with their own intricate decorations, legends and religious imagery – you can ask for directions to the tranquil Chapel of Jampa and meditate on the world’s largest gilded statue. The courtyard outside of the Kelsang Chapel is one of the best places to observe the pilgrims and monks prepare for ceremonies. 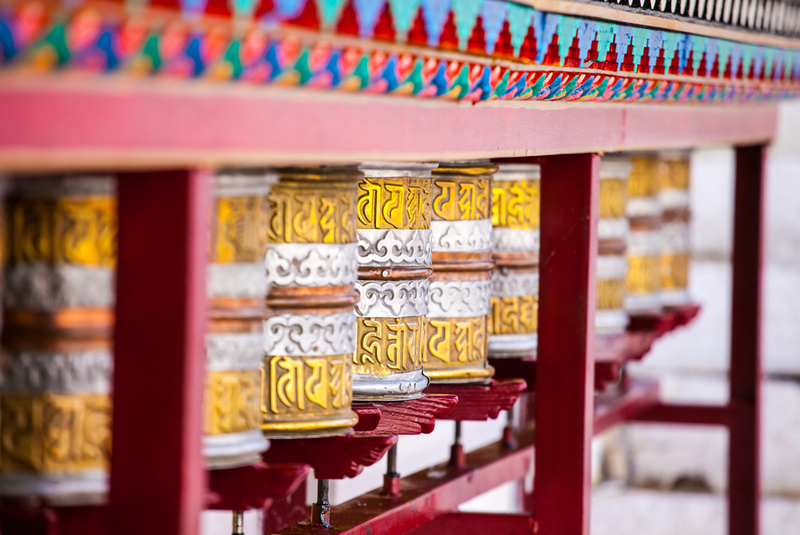 In the evening, perhaps join the pilgrims on their kora, spinning prayer wheels as you walk around the perimeter of the monastery and take in the lovely views and atmosphere (approximately 1 hour). Continue to Sakya (approximately 3 hours) (4,300m). Sakya’s monastery and town buildings are quite unique. The monastery is built in medieval ‘Mongolian’ style. Rather than being whitewashed, the secular buildings are painted in red and white stripes. At first the halls may seem similar to other monasteries you have visited, but after spending some time here you’ll see that Sakya has a subtle, ancient beauty unlike any other. 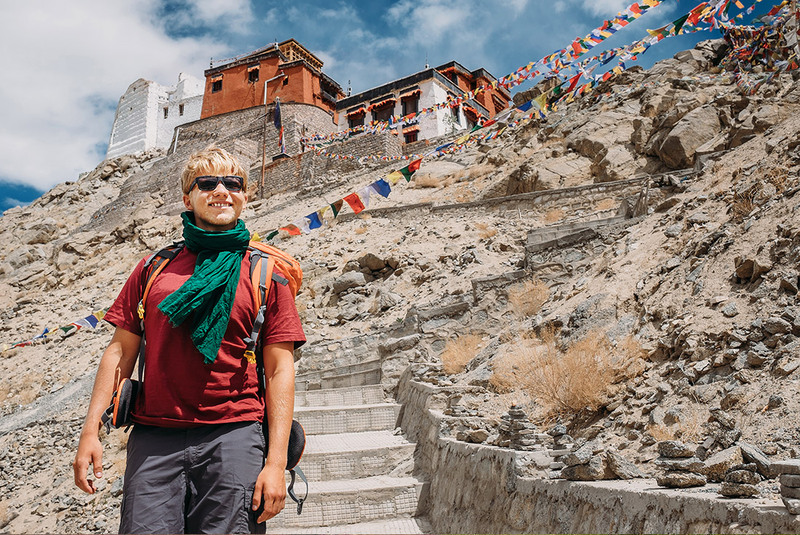 You might also like to climb the hill through the Tibetan Village to see what’s left of the original monastery complex. Make sure you pick your way through the ruins and remaining buildings in a clockwise direction, as this is a kora route (prayer circuit). You can also hike a little further afield to the nunnery, which sits high on the hill and overlooks the town. For dinner tonight, perhaps try some spicy food at one of the little restaurants run by Sichuanese immigrants. You will stay the night in a basic guesthouse (note that hot water is usually unavailable here). An exhilarating drive (approximately 5–6 hours) brings you to Everest National Park.The road is winding but the you’ll be compensated with great view of world’s greatest snow capped mountains standing together afar like giants. Then a short drive to where you’ll stay tonight – the camp ground of the yark hair tents set up by Tibetans to accommodate the travellers who come here for a night close to the Everest. Enjoy some lunch before taking the gentle walk up to Everest Base Camp monument (approximately 2 hours rtn). The monument is the closest you can get to the Base Camp on the Chinese/Tibetan side but standing in front of the Everest will simply leave everyone speechless as it becomes clear why it’s a sacred mountain to the Tibetans. For the more energetic, your leader can take you for a hike to the upper Rongbuk Monastery (the highest!) and visit some caves where the monks meditated in the ancient times. In summer months, the group will stay at Rongphu in the tent city that is set up along the road to Everest Base Camp. Accommodation here is in nomad-style tents. Tents sleep up to seven people with basic mattresses and bedding provided, but we recommend using a sleep sheet and preparing some warm clothes, as it can get quite cool in the evenings. There are basic pit toilets nearby. For heating there is a yak dung stove in the central open area of each tent. At such close proximity to the tallest mountains in the world, the surroundings more than make up for the basic sleeping conditions. In colder months, when the tent city is not operational, the accommodation will be a monastery guesthouse, or lodgings in a nearby town. Rooms here are quad-share with very simple, shared facilities. Also note that Everest Base Camp can close without any prior notice because of political issues and/or bad weather. Prior notice will be given where possible. When it’s closed, passengers will stay in Old Tingri (4,300m) where a beautiful view of Everest is still possible on a clear day. Journey back to Lhasa (approximately 6 hours). Though it’s a long day of driving, the scenery along the way is spectacular, so sit back, relax and enjoy it. There will be stops for lunch and to take photographs of the mountains. Head back to the airport to board your flight to Kathmandu (approximately 1.5 hours). Your journey comes to an end where it all began, back in Kathmandu. You’ll check back into your hotel, then head out for a final (optional) group dinner. Boasting a delicious array of international and local cuisine, Kathmandu is lovely place to dine, especially after your adventure across the ‘Roof of the World’.